"Adding Jessie to the roster helps to make the 2019 team feel complete," Penn State head coach Sarah Brown said in a news release. "I've had the chance to get to know Jessie over the last few months and I'm so excited for her future at Penn State. Jessie has beautiful lines and her passion for the university and the sport of gymnastics is apparent from the moment you meet her. We're excited to have a local athlete on our team and look forward to helping Jessie reach her fullest potential both academically and athletically." Bastardi has career bests of 37.475 in the all-around, 9.65 on the bars and 9.625 on vault. A four-year Level 10 gymnast for Centre Elite gymnastics, where she was coached by Jen Bundy Bortz and Tracy Salvino Longenecker, Bundy, Bastardi was the 2016 Level 10 Pennsylvania State Champion on the uneven bars and placed third on vault and ninth in the all-around. She qualified for the 2016 Junior National Olympics she placed eighth on the uneven bars and 19th in the all-around. 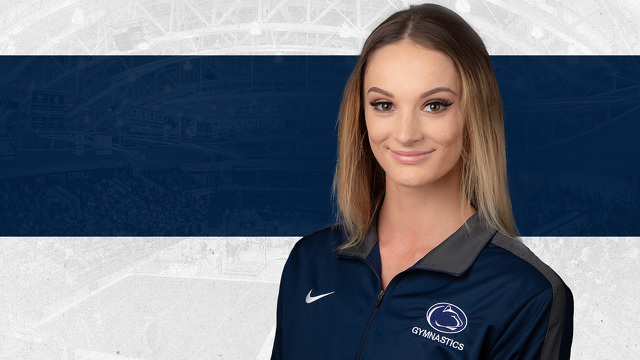 Bastardi's mother, Jess, competed for the Nittany Lion women's gymnastics team, winning Atlantic 10 titles in the floor and vault, and later served as an assistant coach at Penn State. Her father, Joe Bastardi, wrestled for Penn State and is a 1978 graduate. Jessie Bastardi is an integrative arts major. Penn State opens its season on Jan. 5 at Utah and has its home opener on Jan. 19 against Ohio State.